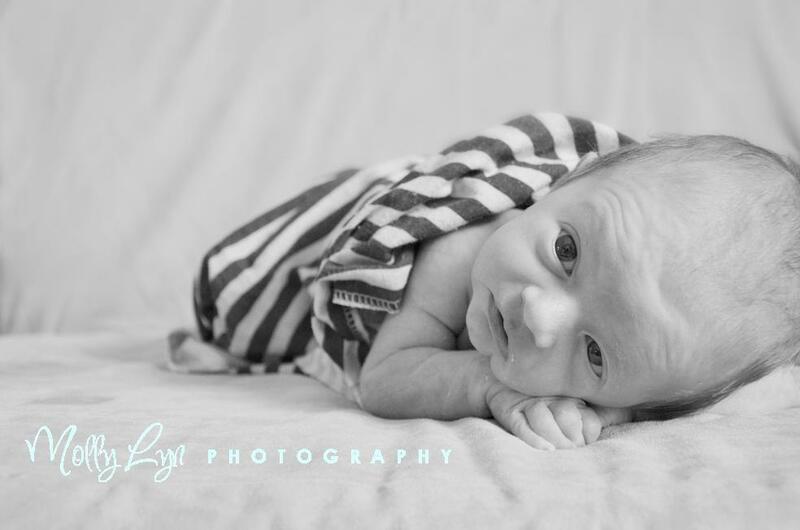 Easton’s mom contacted me while she was still pregnant about driving up (over) to Tawas City to take some photos of their son after he was born. 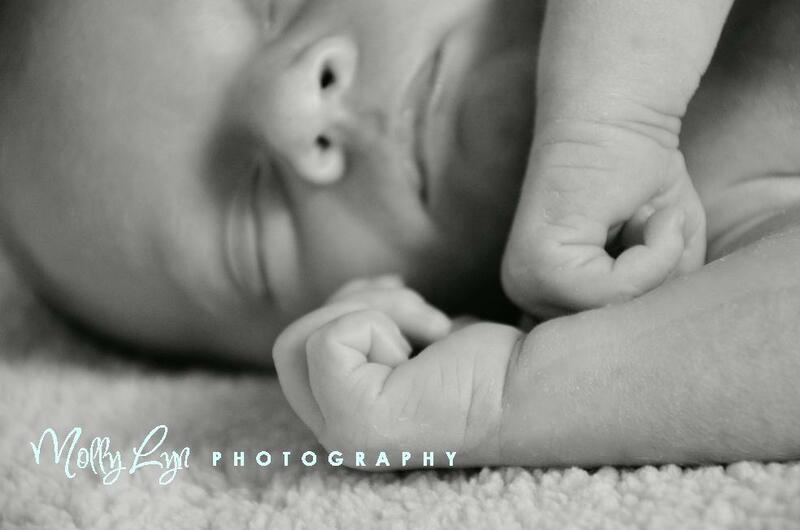 I like to take newborn’s photos within the first 10 days because they are all snuggly and smushy still, and they usually sleep. Not Eason! Haha! He was so quite and so good, but so alert! I love it! Usually with an awake baby, you get half an eye shut, or something, but it was like as if he was looking right at the camera! He’s so smart already! 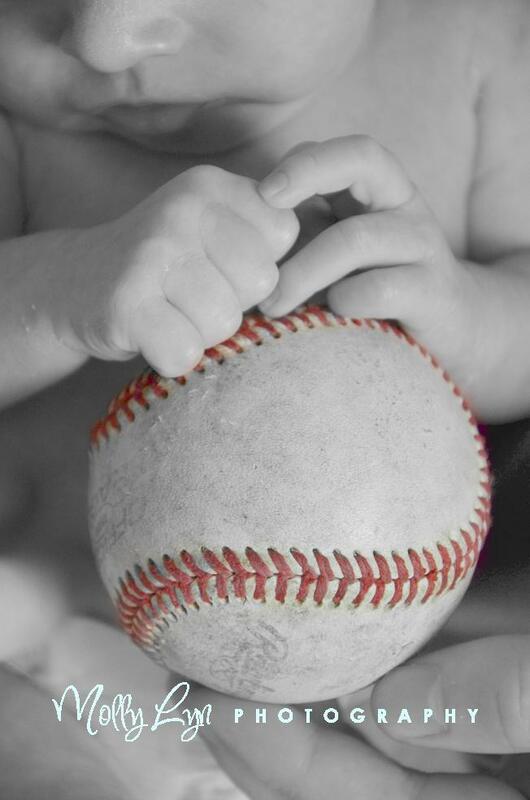 Easton…yes, Mom said he was named Easton like the baseball company, and it was apparant from the second I walked in their house that this was a baseball family! I was in Heaven! 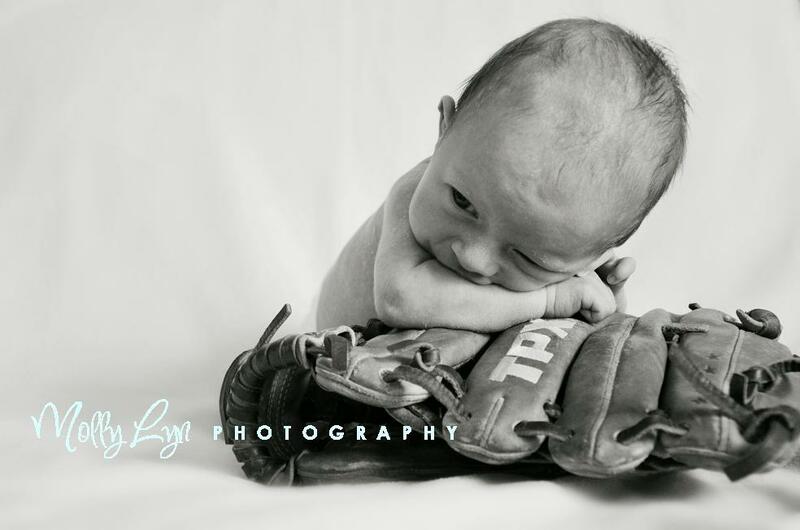 They had balls and gloves all ready to go for his session! So cute! Thanks SO much for having me over Shane and Nichole for having me over to your house, 7 days after your baby was born and you were in the midst of moving! 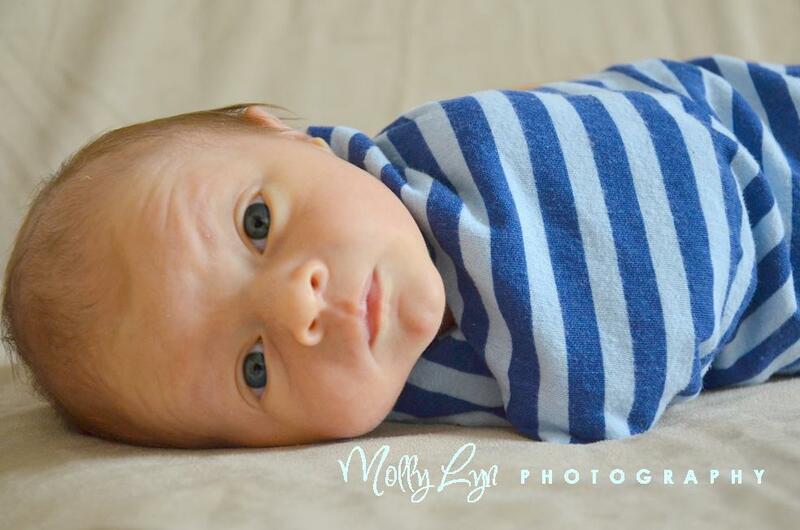 I loved meeting Easton, and I hope you love the photos! Oh, newborns are so small and squishy! He was not a fan of this at all, but we managed to get him to like it just long enough to snap a shot! Mr Alert! I swear he knew I was taking his photo! Smart baby! I love surprising parents by telling them they will be in the shot! 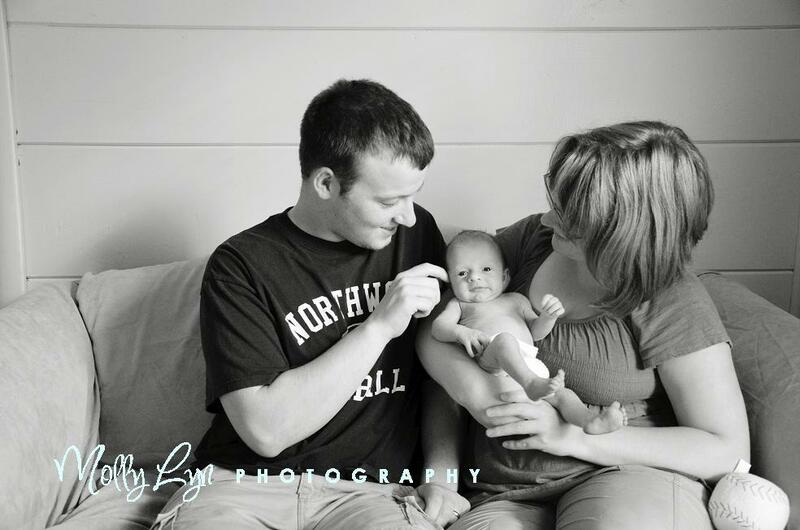 These are usually some of my favorite shots, new parents, gushing over their little baby! So sweet! And he’s just soaking it up!